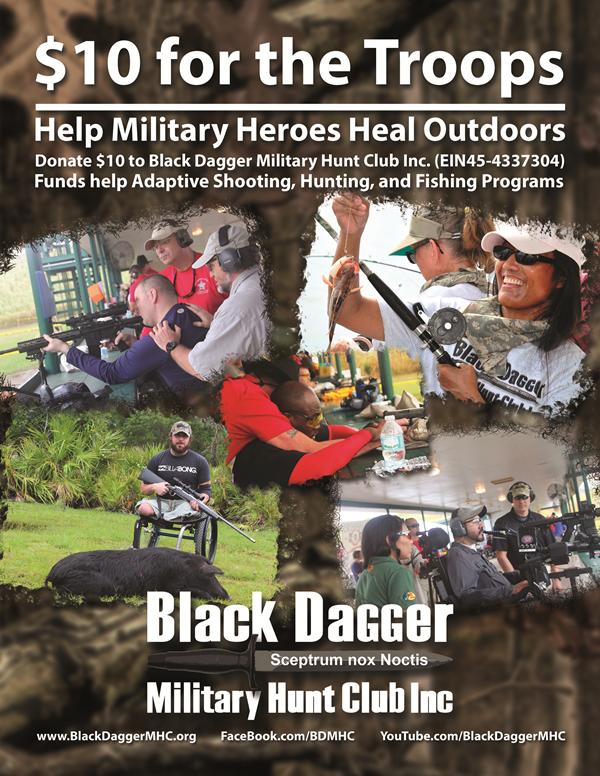 Support – Black Dagger Military Hunt Club Inc.
1. Making a donation securely through PayPal on our site (monthly or one-time). 3. Post this image at your business or workplace or share with your social network to get the word out. 4. Write a review on Great Non Profits here (volunteers, donors, veterans, family members, etc.)! 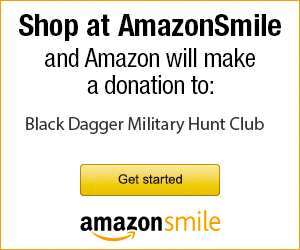 Black Dagger is a 501(c) 3 non-profit charity and all contributions are tax deductible. 2. 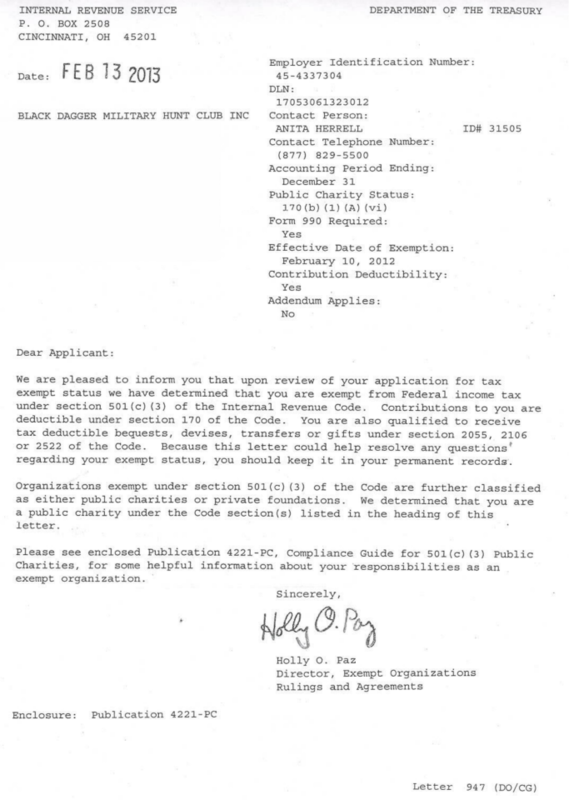 No companies are used for fundraising. 3. All support is strictly on a volunteer basis.